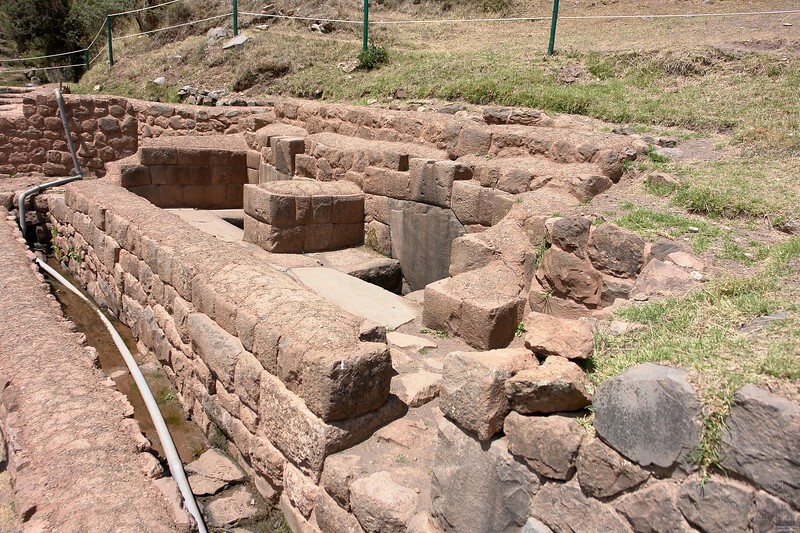 Pisac. Bathrooms with flowing water. Please ignore the crude modern water pipe.